North Dakota has seen a significant economic boost and population growth with the Bakken oil boom. The state gained billions of dollars, the unemployment rate became the lowest in the U.S., and the state’s population grew three times faster than the general American population from 2010-2013. Concurrently, many Native tribes have engaged in mineral extraction industries in order to support their own economies and to attempt to gain economic independence from the U.S. government. As many tribes are finding out, however, the mineral industries also create a lot of social problems for Indian reservations. Oil development has been introduced to many small, rural places like the Fort Berthold Reservation in North Dakota; however, many of the male workers find that there are little housing options in places like these. They therefore form “man-camps” throughout rural areas, living in motor homes rather than permanent abodes. More and more male workers join these man-camps, causing the ratio of men to women in the small towns of North Dakota to change greatly. The ratio is about 10-1, and in some towns it’s as high as 20-1. Many women work in bars and strip clubs in order to profit from this disproportionately high number of outsider men now living in these small towns. As a result of this, there has been an increase in sexual assaults and violence against women, according to law enforcement. According to a recent report published by Nikke Alex, sexual assaults on women have increased 75% in Fort Berthold since the advent of the oil boom. In the entire state of North Dakota, violence increased 162% from 2010-2012. This is a major problem for Native women especially, as Native women are 2.5 times more likely to be sexually assaulted than any other race. Furthermore, out of all the sexual assaults reported by Native women, only 13% of them result in an arrest. Environmental pollution is another major issue caused by oil industries, and one that has upset many Native Americans. As problems continue to mount in reservations adjacent to the oil fields, little is being done to fix the outstanding issues. Tribal law enforcement in Fort Berthold does not have the resources necessary to protect its citizens, as they do not have jurisdiction to incarcerate or punish outsiders or non-Indian perpetrators. Arguments over land and mineral rights are also ongoing between Native Americans and the U.S. government, as seen with the Keystone Pipeline in which Natives stated the government failed to adequately negotiate the matter with tribes. The U.S. government cannot continue to extort both the Native American people and their land. 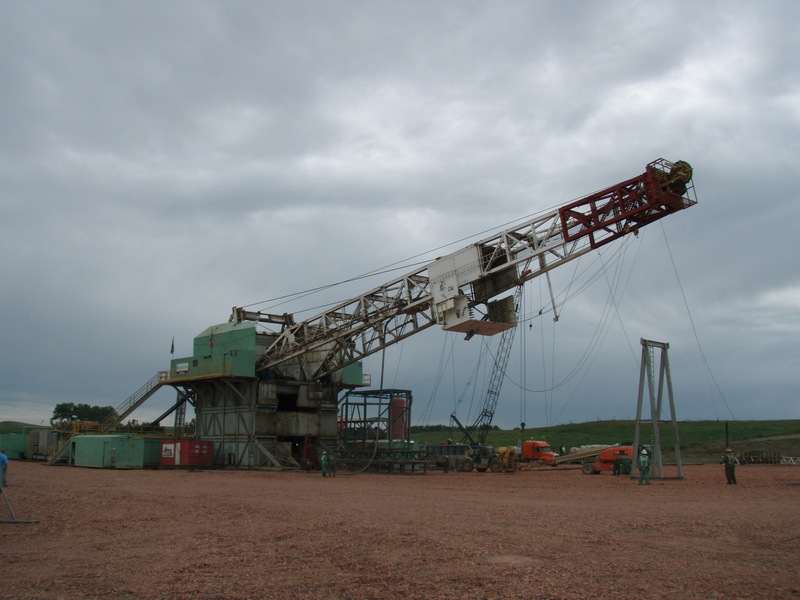 To read the full report on the Bakken oil boom’s effects on Fort Berthold, please click here.